Return to Normandy 2014 - Help get W7 Back to Normandy! A project of the National Warplane Museum. The next time the American military transport plane known as Whiskey 7 drops its paratroopers over Normandy, France, it will be for a commemoration instead of an invasion. Seventy years after taking part in D-Day, the plane now housed at the National Warplane Museum in western New York is being prepared to recreate its role in the mission, when it dropped troops behind enemy lines under German fire. At the invitation of the French government, the restored Douglas C-47 will fly in for 70th-anniversary festivities and again release paratroopers over the original jump zone at Sainte-Mere-Eglise. "There are very few of these planes still flying, and this plane was very significant on D-Day," said Erin Vitale, chairwoman of the Return to Normandy Project. "It dropped people that were some of the first into Sainte-Mere-Eglise and liberated that town." Museum officials say the twin-prop Whiskey 7, so named because of its W-7 squadron marking, is one of several C-47s scheduled to be part of the D-Day anniversary, with jumpers made up of active and retired military personnel. But it is believed to be the only one flying from the United States. The plane will fly to France by way of Labrador, Greenland, Iceland, Scotland and Germany, each leg 5 ½ to 7 hours. Vitale compared it to trying to drive a 70-year-old car across the country without a breakdown. "It's going to be a huge challenge." Among the 21 men it carried in 1944 was 20-year-old Leslie Palmer Cruise Jr., who also will make the return trip to France, his fifth, and be reunited with the craft — once it's on the ground. He is flying commercially from his Horsham, Pa., home outside Philadelphia. "With me, it's almost, sometimes, like yesterday," Cruise, now 89, said by phone, recalling his first combat mission. "It really never leaves you." Although the C-47 looks much the same today as it did on June 6, 1944, it looked very different when it arrived at the museum as a donation eight years ago. It had been converted to a corporate passenger plane. "We had to take an executive interior out," said the museum's president, W. Austin Wadsworth. "It had a dry bar, lounge seats, a table with a nice map of the Bahamas in there. It was beautiful." The museum's restoration of the historic plane to its original condition has been a roughly $180,000 project so far. Most of the money went toward two rebuilt engines and the rest to parts, equipment and service. The museum is trying to raise a total of $250,000 for the restoration and return to Normandy. One upgrade it did allow was the installation of two GPS systems to keep the aircraft on course. "The avionics in the airplane are modern. We're not going to go with what they had in 1943," Wadsworth said. "They would have had probably a radio beacon receiver and a lot of dead reckoning." There is still no autopilot, said Wadsworth's daughter, Naomi, who will be among five pilots — one including her brother, Craig — taking turns at the controls on the way to Europe. That's fine with her, she said. "It's history. It's real flying," she said. "With a lot of the computerized, mechanized things that you see in the airliners today, the airplane basically flies itself. ... This is not a situation where you can be asleep at the wheel. You really have to pay attention." Said her father, also a pilot: "You don't just grab something and push it. There's a kind of feel to everything you do in these old birds. It doesn't have a soul obviously, but you don't just tell it what to do. You ask it." Cruise still remembers being squashed between other paratroopers seated on pan seats as the plane left England's Cottesmore Airdrome. He was weighed down with probably 100 pounds of gear, including an M-1 rifle that was carried in three pieces, 30-caliber rifle ammo, a first-aid pack, grenade, K-rations and his New Testament in his left pocket, over his heart. "We could hear the louder roar as each plane following the leader accelerated down the runway and lifted into the air," he wrote in an account of the mission. "Our turn came and the quivering craft gathered momentum along the path right behind the plane in front." The airplane's engines were so loud he had to shout even to talk with the paratrooper next to him, he said, and the scenery through its square windows looked like shadows in the dark. Over the English Channel, a colonel pointed downward. "In the partial darkness below we could make out silhouetted shapes of ships and there must have been thousands of them all sizes and kinds," Cruise wrote. "If we had any doubts before about the certainty of the invasion, they were dispelled now." The crew spent the weekend in cold water survival class donated by Ed Carlson at www.flythepond.com. Pictured here is John Lindsay in the cold water survival suit. Thanks Ed! This was one of those days where everything clicked and we got a lot done. Right engine tach generator installed and safetied. Right engine rocker box covers installed. Right spark plugs in and torqued, ignition wires installed. Right and left ailerons in and safetied. Right outer brake line changed and installed. Leslie Palmer Cruise, Jr. recounts flight over the channel in W7 on Day. 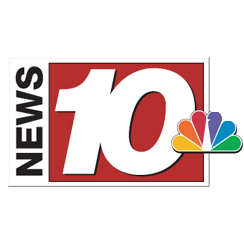 The Return to Normandy team would like to thank News 10 NBC for their support and sponsorship! Exciting news from the hanger a small team will start working on getting the ailerons ready for a repaint! Letchworth H.S. students donate money to vets.. Click to read story! Filming has started on a feature documentary that we are producing about Whiskey 7’s Return to Normandy. We have found living pilots from our plane’s squadron and even an 82nd Airborne paratrooper who jumped from Whiskey 7 on D-Day over St. Mere Eglise. Here is an excerpt from an interview we recently conducted with Leslie Palmer Cruise, Jr. Copyright © 2013 The National Warplane Museum, All Rights Reserved. Simple theme. Powered by Blogger.